Ok you guys...If you saw my post yesterday it is know that I encountered sorghum making. And, if you know me well enough you know that I probably bought some or was talked into buying some by my convincing law student of a husband. So, now that I have sorghum what am I going to do with it? I did some searching and found a something that sounded fantastic. I knew I had to try it. 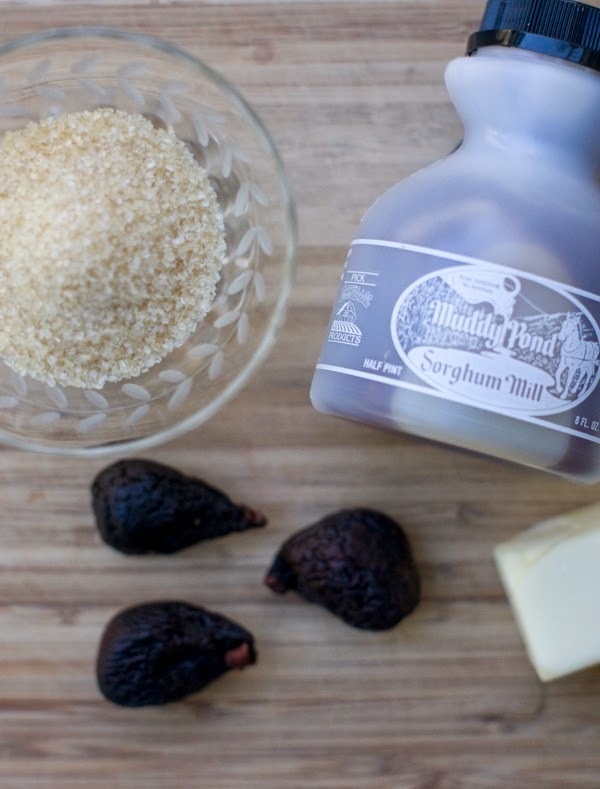 A company called Bourbon Barrel Foods shared a Fig and Sorghum cookie recipe that sounded simple enough. 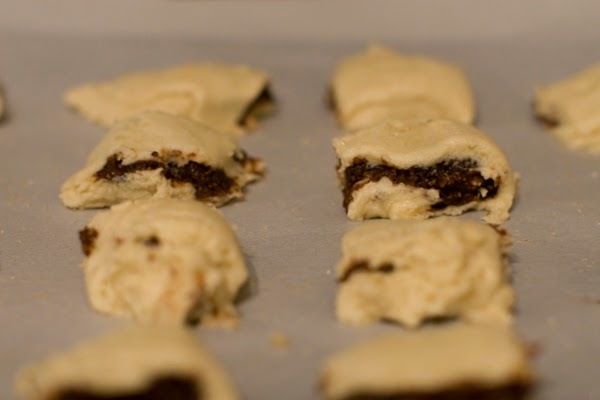 Unfortunately, I did not have their special products to give the cookies a depth of flavor that I am sure comes from their bourbon; however, I think they turned out pretty fantastic. I thought I would share my thoughts and Bourbon Barrel's recipe. These cookies are not for the prideful chef. 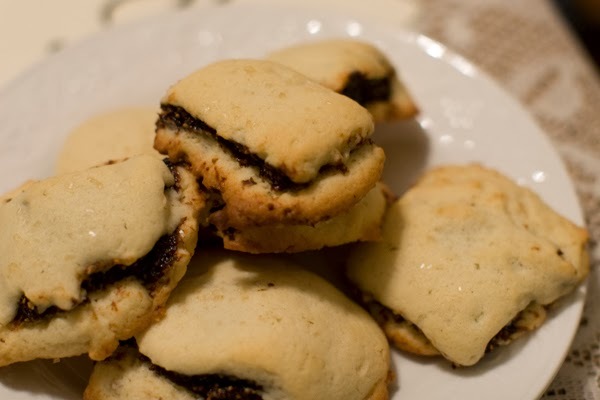 The prettiest cookies are not created from this recipe. But, you know, it doesn't matter when you taste them. It doesn't matter one bit. The Muddy Pond Sorghum was fantastic. So I didn't have the bourbon smoked sugar or the bourbon vanilla. I did add a little raw sugar as a garnish just before baking to give them a little sparkle. Every cookie needs a little sparkle. The dough was extremely sticky and I am shocked it didn't stick to the paper any more than it did. 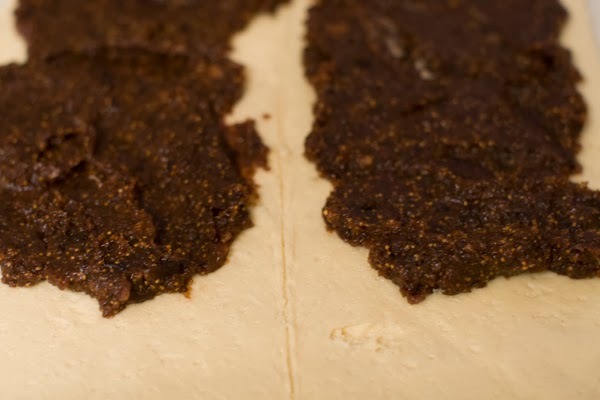 You have to be a little gentle when peeling the paper away and press the paper back on to the dough if it sticks and try to coax it back together. One thing that might help is putting the dough in the freezer for a few minutes to help the cutting process go a little smoother. Either way, I don't think these cookies are meant to look glamorous. They were a HUGE hit though. So making these again.